Zenit St Petersburg moved six points clear at the top of the Russian Premier League with a 5-0 home hammering of minnows Anzhi Makhachkala on Sunday. The comfortable win over second-bottom Anzhi extended Zenit's lead over second-placed reigning champions Lokomotiv Moscow, who beat Akhmat Grozny 3-1 on Saturday, and Krasnodar, who drew 1-1 at Dynamo Moscow earlier on Sunday. Zenit got off to a flying start when their Iranian international striker Sardar Azmoun opened the scoring after just two minutes, guiding home Robert Mak's cross from the right. Seven minutes later Azmoun chested down Yaroslav Rakitskiy's cross to Branislav Ivanovic and Zenit skipper smashed in the equaliser from close range. 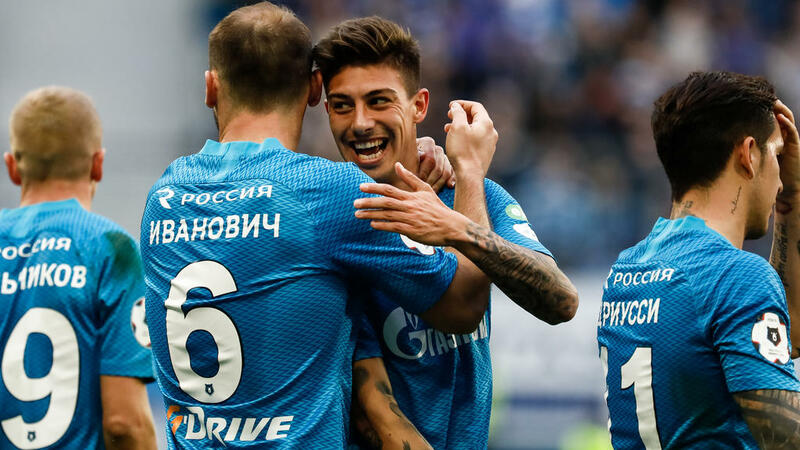 Zenit then eased up the pressure but Argentinian forward Emiliano Rigoni netted Zenit's third with a free-kick in the 83rd minute, while his compatriot Sebastian Driussi scored twice within the space of two minutes to complete the rout. "We've started well and scored an early goal which decided the outcome of the match," said Zenit manager Sergei Semak. "In general we played well and won deservedly. But we shouldn't relax as the six-point lead is not the guarantee of the ultimate success." Earlier on Sunday Krasnodar missed a chance to regain the second place with their draw with strugglers Dynamo Moscow. Brazilian striker Wanderson's equaliser three minutes from time saved the day for Krasnodar who were trailing after Dynamo forward Yevgeny Markov headed home Joaozinho's corner in the 77th minute. "The draw was the most fair result," Krasnodar head coach Murad Musaev said. "Dynamo played really well and created plenty of problems for us. "Fortunately we managed to level after the hosts opened the score."